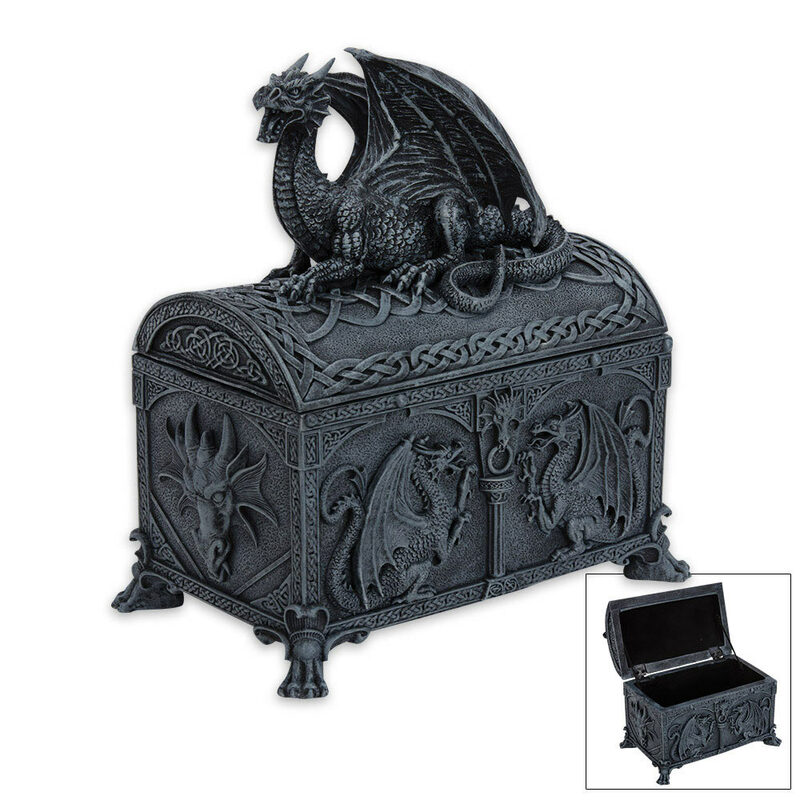 Dragon Fantasy Treasure Box | BUDK.com - Knives & Swords At The Lowest Prices! Intricate details encompass every inch of this trinket box. Fully lined to protect your precious gems.